A mysterious island. An abandoned orphanage. A strange collection of curious photographs. It all waits to be discovered in Miss Peregrine’s Home for Peculiar Children, an unforgettable novel that mixes fiction and photography in a thrilling reading experience. As our story opens, a horrific family tragedy sets sixteen-year-old Jacob journeying to a remote island off the coast of Wales, where he discovers the crumbling ruins of Miss Peregrine’s Home for Peculiar Children. As Jacob explores its bedrooms and hallways, it becomes clear that Miss Peregrine’s children were more than just peculiar. They may have been dangerous. They may have been quarantined on a deserted island for good reason. And somehow—impossible though it seems—they may still be alive. I’ve been dying to read this book since I heard about it. A young adult novel with photographs in it? Photography being another of my hobbies, this was a rather big draw, and it sounded like such a unique and interesting read. The photographs used are all authentic found photographs, not ones taken for the purpose of the book. There’s an interview at the end of the edition I have with Ransom Riggs in which he talks about how he found and used the photographs. Is the story completely original? No, I mean, that’s not really possible. Yes, I guess the plot/concept is kind of similar to X-Men. 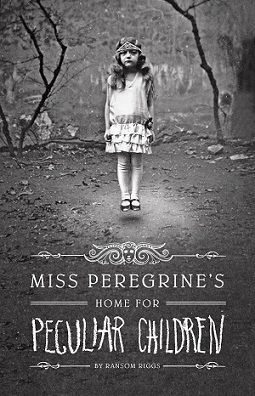 However, where X-Men is very much science-fiction, Miss Peregrine’s Home for Peculiar Children is quite different and has a more fantastical and paranormal feel to it. Peculiar, is in fact, a perfect word to describe the book. Jacob wasn’t anything special as far as main characters go. It was a pretty standard first person narration from his point of view. Many of the other characters also weren’t that fleshed out. Characterisation seemed to be less of a priority that the concept, plot and aesthetic of the book. I’ve seen worse characterisation, but this aspect of the book definitely needed more development. The plot kept me interested and there were surprises along the way. It wasn’t as creepy as I was expecting, which is fine for me as I’m not a fan of horror. At times it did unfortunately feel like the story was forced to fit the photographs or vice versa, which is a shame. I did enjoy the plot though and wanted to keep reading to find out what would happen next. As the first book a trilogy, it seems like this first one is a lot of set up for the next one, as if this is just an introduction to the characters and concept, in order for the main plot to actually start in the second book. I thoroughly enjoyed it and wasn’t disappointed. I’m looking forward to reading the second and third books – and also seeing the film adaptation. 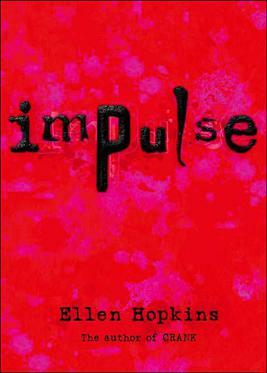 Although I have read plenty of poetry and plenty of novels, I had yet to read a novel in verse until Impulse by Ellen Hopkins. The book looks dauntingly thick, but is actually an incredibly quick read since there aren’t all that many words on each page. It explores how three teenagers came to be at Aspen Springs psychiatric hospital and doesn’t shy away from dealing with complex issues. The book uses three different narrators – Vanessa, Tony and Conner – with headings to show which is which. It switches between the perspectives about every three poems. Surprisingly, I was mostly able to keep track, but there were times where I forgot which point of view it was, got confused, and had to flick back and check. I enjoyed my first novel in verse, and liked that Hopkins didn’t go overly flowery and poetic with the language, as that would have come across as quite unrealistic for the voices of most teenagers. The characters were developed slowly, their personalities pieced together as different bits of their past were revealed. I liked that the three protagonists, although very different, had things that connected them. I thought Vanessa’s point of view was written very well, and found the way Hopkins described the experience of bipolar to be effective for imagining what it would be like. While reading, I questioned the realism (and sense) of taking a group of patients on some kind of wilderness training thing as the last stage before they would be allowed to be discharged. However, after some internet searching, I discovered that wilderness therapy is an actual thing. Maybe it was just hard to keep track of the passage of time, but it seemed like the characters were able to get to that stage quite quickly, which seemed quite surprising (they would start at Level One and progress up to get different privileges until the wilderness training). In future, I wouldn’t turn away from a novel in verse, and would consider reading more of Ellen Hopkins’s work, as this seems to be her narrative style of choice for her novels. The book was both quite dark and deep, exploring the troubled pasts of the characters and their thought processes. 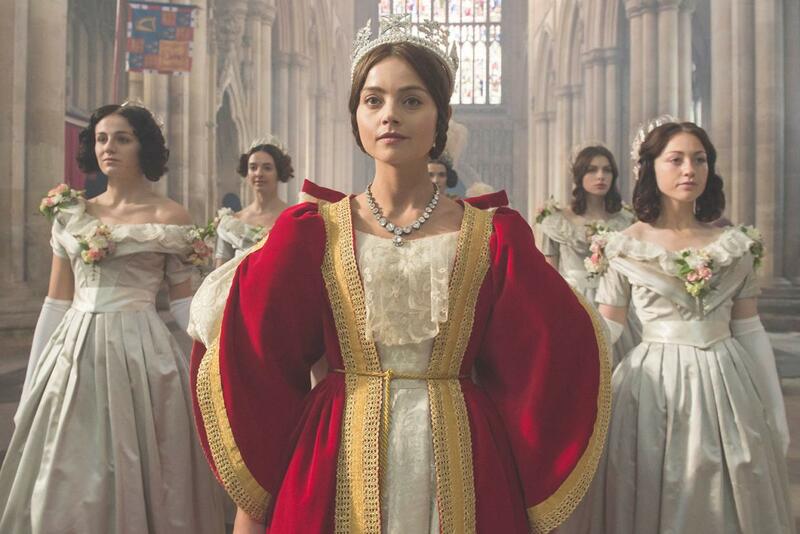 Victoria is ITV’s latest foray into period drama. I had been looking forward to it since hearing about the prospective series earlier this year. It follows Queen Victoria’s ascension to the throne and courtship of Prince Albert. I knew a bit about the monarch from seeing the film The Young Victoria and was interested to see how the story would translate to television. 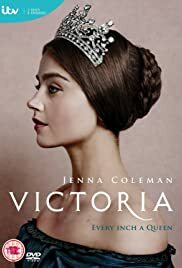 As there is considerably more time available in a television series, more happens in Victoria, although it seems to follow a similar pattern to The Young Victoria. Jenna Coleman, having left her role in Doctor Who to play Queen Victoria, has improved as the series has gone on. At times I found her portrayal of Victoria too whiny, but at other times her acting was much better. The accompanying cast do well to balance out her occasional whininess and Rufus Sewell as Lord Melbourne brings some maturity and interesting characterisation to the table, creating a complex character in Melbourne. Finally in Episode 4 came the introduction of Tom Hughes as Prince Albert (his entrance at the end of Episode 3 hardly counts). So far, he’s done a good job of playing the awkward prince. I liked that it wasn’t love at first sight between Victoria and Albert (these programmes have a habit of over-romanticising) and their courtship was a slow progression. Similarly to ITV’s vastly popular Downton Abbey, the show also features some of the servants and kitchen staff at the palace. I found their scenes a nice break from all the well-to-do-ness going on upstairs. The character of Miss Skerrett is intriguing as there is obviously something going on with her past that she wants to hide. As it is based on the real life of Queen Victoria many of the events are predictable (not much of a spoiler that Victoria and Albert get together is it? ), although it’s hard to know how much is fact and how much is embellished. So far I have liked the series; although it does have some flaws it has been entirely enjoyable with great sets and costumes. Full review to come once the series has finished. Rois is obsessed with Corbett Lynn. His pale green eyes fill her thoughts and her dreams are consumed by tales of his family’s dark past. Of son’s murdering fathers, of homes fallen to ruin, and of a curse that, as winter draws in, is crawling from the frozen forest to engulf them all. 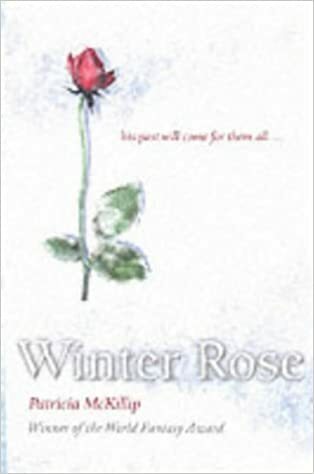 Winter Rose is a retelling of the Scottish Tam Lin legend/ballad by my favourite author, Patricia A. McKillip. I didn’t know anything about this origin before I begun reading, but afterwards did some research and the book retells the story but with some major differences to the original story. Well, wouldn’t be any point in retelling it the same would it? Fairy tale retellings seem to be quite popular at the moment. As usual, McKillip’s poetic prose is enchanting. Her use of language and descriptions always captivate me and capture my imagination. At times though, things were too vague and ambiguous, leaving me confused in places and reading passages again to make sure I’d understood what was happening. The plot is good but dragged on. I wasn’t hooked. I think the book would have been better if it were shorter as, really, only a few things happen. If it had been more condensed it would have pulled me in more to keep me reading as there was too much dilly dallying to keep my interest. There were some unexpected twists and turns which surprised me though, and some aspects went against my expectation, so it was refreshing to see something different for the ‘romance’ element of the book. However, things are alluded to (well, more than alluded, more like stated as fact) which will happen, as if the narrator is looking back on these events, but then that doesn’t happen, and I found that frustrating and confusing. I’m being rather vague because this issue revolves around a large plot point which I don’t want to spoil. The characters were good and well fleshed out and I liked the small village setting. It made it feel like they were isolated from everything else, which tied in well with the fantastical goings-on. It was a good book, but nothing remarkable, and not as good as the other books my McKillip I have read. I’m certainly looking forward to reading more of her books, there’s a long queue of them on my shelf waiting to be read. The only way to learn the secret is to press play. Clay Jensen returns home to find a strange package with his name on it. 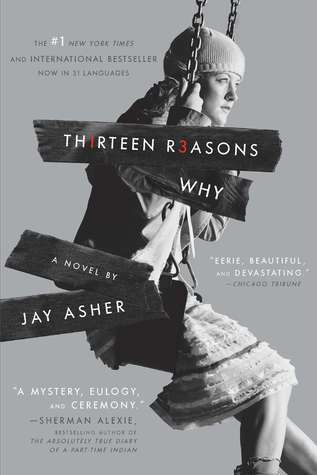 Inside he discovers several cassette tapes recorded by Hannah Baker – his classmate and first love – who committed suicide two weeks earlier. Hannah’s voice explains there are thirteen reasons why she killed herself. Clay is one of them. If he listens, he’ll find out why. Where to begin. I don’t give five star reviews much. I have to love a book so much it hurts. A five star review, to me, isn’t about a book being perfect. A book can’t be perfect, it’s impossible. A five star book is one that will stay with me forever. I’ve wanted to read this book for years, and finally found myself opening the cover a few days ago. I don’t usually write a review right after finishing a book. I give it a couple of days to let it sink in. But today I’m writing this review having finished Thirteen Reasons Why half an hour ago. The book uses the dual narratives of Hannah and Clay as he listens to the tapes Hannah left behind. It was hard to get around my head that Hannah was dead before the book even started. Isn’t there any hope? Can’t Clay save the day? No. This isn’t a book about saving someone, it’s about exploring what happened to them to make them give up. Hannah’s voice really popped out of the page. It was haunting, imagining her voice replaying through those tapes. Asher managed to capture her voice excellently since we only get to know her through her voice on the tapes (well, there’s some of Clay’s memories of her, but we don’t see those through her eyes so it isn’t the same). I thought the mix of the two narratives worked well for the format, with Clay’s actions and his reflections on what he was hearing mixed into the tapes. It means you get to see his thoughts and responses to what he’s hearing in real time, as he’s hearing it. It wouldn’t have worked so well any other way. However, I would have liked to know Clay’s character more. By the end of the book you know nothing about Clay, except the parts of his life that relate to Hannah. Which, in a way, makes sense because to me Hannah was the protagonist of the story, not Clay, even though she was already dead before the book started. Clay was just a vessel to carry her story. But Asher could have breathed more life into his character. I got a bit of a sense of what he’s like, but not much. But maybe that’s not important for this story. Would it add to the value of the story if we were told unnecessary details or back story about Clay? No, actually, it probably would have distracted from the point of the story. So maybe it doesn’t matter. I’ve read other reviews about how the reasons aren’t really reasons why someone would commit suicide, how Hannah was whiny and needs some perspective etc. but actually that’s the point. And highlights the problems with attitudes to mental health in our society. You can never know exactly what someone is thinking and feeling. We only hear what Hannah wants us to know on the tapes. We know nothing else about her life. A lot of little things (and bigger things) can build up to make you feel really awful, so there might have been more to it than what was on the tapes. We don’t know. We have no way of knowing. Those are the things she picked out to talk about, but that’s not necessarily the whole story. There isn’t always an explanation or reason for the way you feel. Sometimes you don’t even understand what you feel, never mind why you feel that way. Maybe this is Hannah trying to understand herself as well, to understand why she’s gradually felt worse. Another thing discussed in other reviews I read was not getting enough emotion from Hannah, but I can see how someone who has got to that point may actually be quite detached from their own story. Hannah has already given up when she is making the tapes, she’s already made the decision to kill herself and it’s like she’s relaying her life from the other side of a glass screen. Nobody reached out to her, and so maybe the tapes are a last attempt to save herself, to go over what has happened to her, to get it out her system. But it doesn’t work, it just reminds her of all the ‘reasons’ to kill herself. There are so many interpretations to this story, because there are so many unknowns. All we have to go on is the tapes, and what Clay remembers about some of the events. I think this book has an important message (or many messages, actually) – about how our actions influence others, and how even though it may seem insignificant in the context of the rest of that person’s life it actually has a bigger impact than you’d think. About how all it takes is someone to notice, to listen, to reach out, to tether someone to this world. Every action has a consequence.